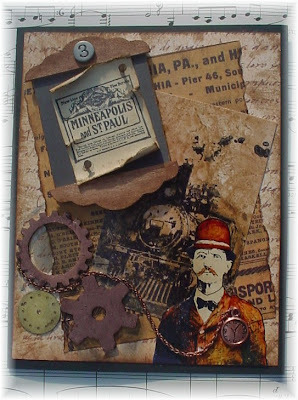 I would like to share another Steampunk Creation. Using the new Steampunk plate. I used the Antiqued Glimmers technique from TJ as the base for the train image. I feel rather connected to these images. You see my Grandfather whom sadly I never met, worked on the railroad most of his life. I can remember my Grandma telling stories on how he would bring hobos who were riding the rails home for dinner for a hot meal. He had a big heart that was full of compassion. I suppose its a tribute to the Great man he was! Well as promised. 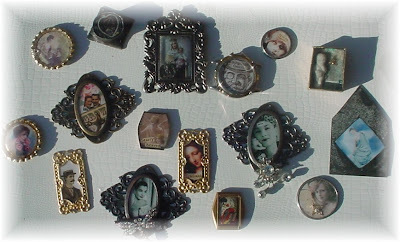 Its Thursday and I have some of the jewelry pieces done as well as some blog candy. 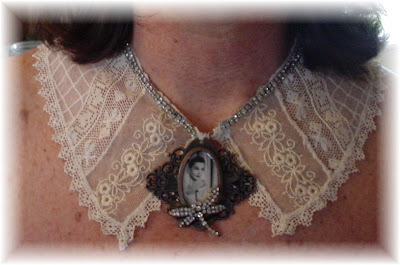 The first is a Vintage lace collar with some gorgeous vintage jewelry pieces added. 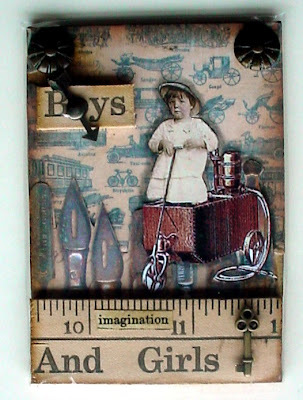 This piece will be going into my Etsy shop. 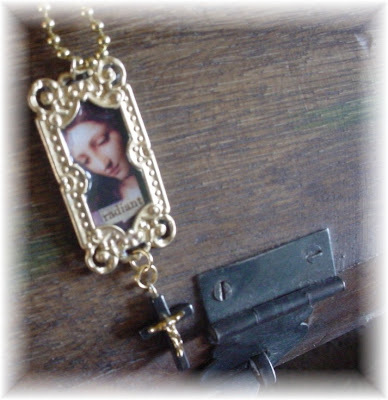 A pendant that radiates its beauty with a small cross at the bottom. 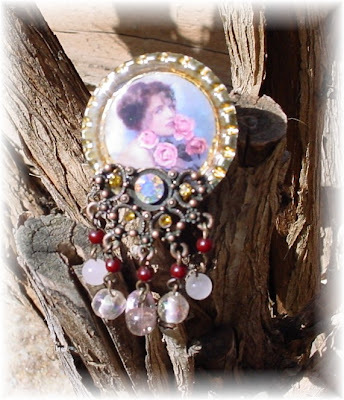 For the Diva extraordinaire a Beautiful pendant with vintage beads and jewels.Another Etsy piece. This one will grow on you!
" 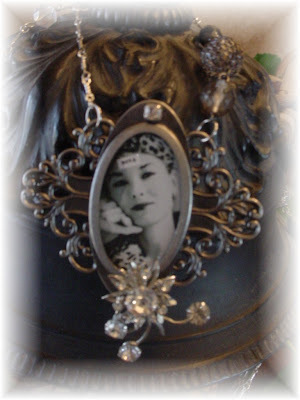 Sweet as a Rose" Up for grabs this Lovely pendant with vintage jewelry added. Its much prettier in person. 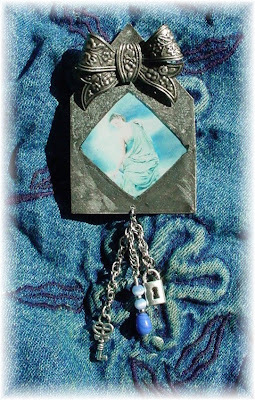 Denim and Blues, A handmade base with epoxy resin angel, glass beads and lock and key hang from a lovely chain. 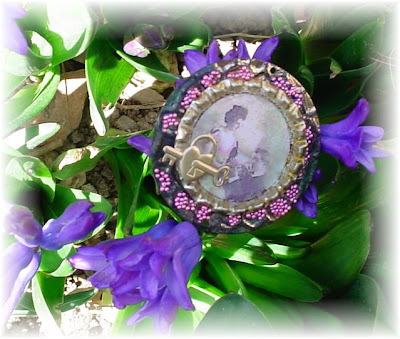 The winner can have this customized as either a pendant, a pin. or left to use in there own artwork. See below for details. As you can tell I'm not finished with all the pieces I've been working on but a good start none the less. So here's how it works. Post a comment here and your entered, That's it! Make sure I have a way to contact you if you don't have a blog! Only one enter per person. 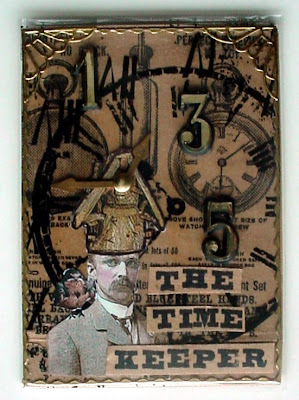 But if you'd like to win the last piece I've shown, post on your blog and make sure your visitors tell me where they heard about it. (they must list your name or Blog name) The one who sends over the most will win this adorable Denim and Blues piece. Also for every 100 comments I will add another jewelry piece to the pot. So who knows how many I'll be giving away. I'll keep working, you keep them coming! The blog candy will run for approximately one week and will end on Saturday March 27th at noon MST. I will post the winners on Saturday evening and let them pick in the order selected. I will send a list and available pieces to each winner. Best of luck. 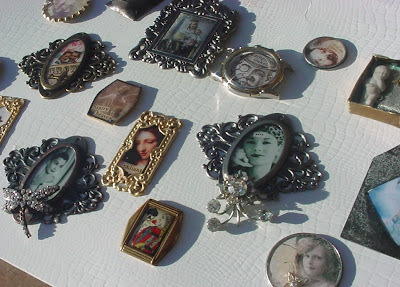 I've been having lots of fun trying out a new technique using 2 part epoxy resin and some vintage jewelry pieces. This stuff is so cool. It stays crystal clear no matter how deep it is. Its called Water clear. But warning... do follow ALL directions if you decide to try it out. Its very toxic and can cause serious health problems. I've tried lots of others and haven't had the same results as this. Don't you think its time for a Giveaway? I'll be putting together some jewelry pieces to go on my Etsy site but will also be giving away some of these as blog candy. I hope to have my giveaway posted on Thursday so come back and sign up and see what I'm offering. I did a Fun Paper fringe Tutorial on the Gingersnap Creations blog today. 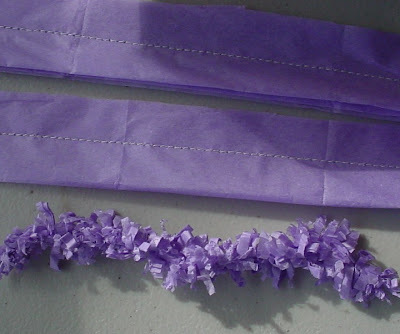 Stop on by to learn how to make your own paper fringe! Gingersnap Creations are celebrating all month long with contests and Giveaways. 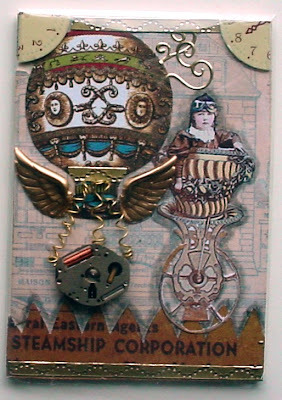 Heres a Birthday card I made with the Birds of A Feather plate, I've etched the bird on a copper sheet of metal. Go check either site and join in on the fun! 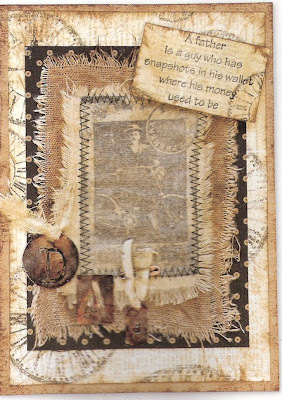 I distressed the seam binding as well as the card. 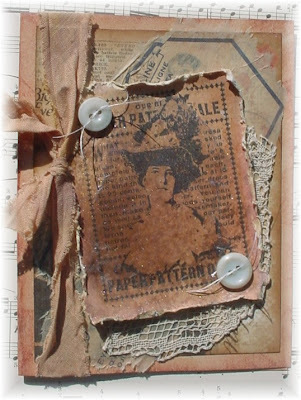 Used some old pattern pieces, a distressed book page and old buttons. 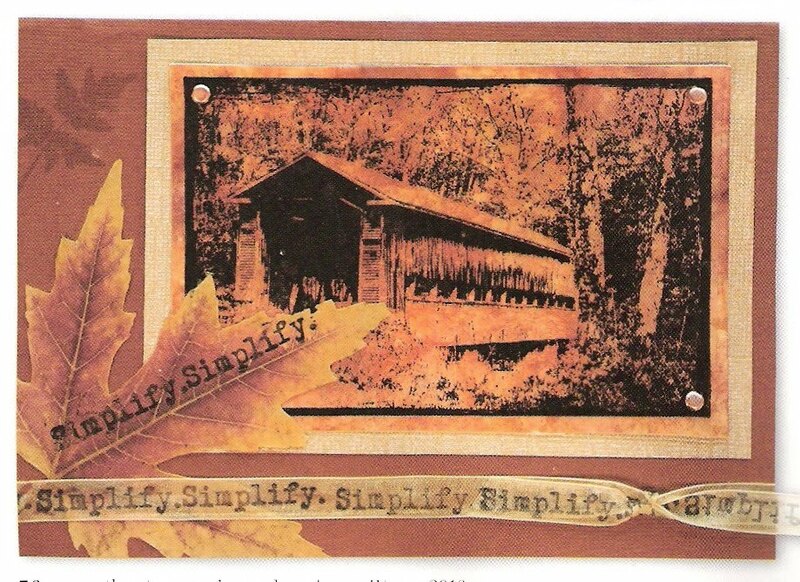 The image is from I Brake For Stamps. 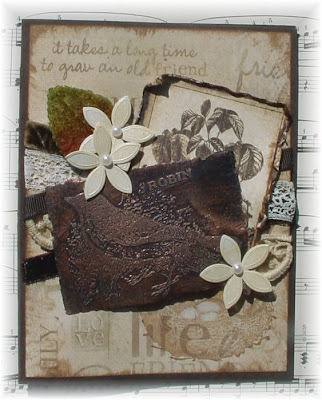 Its also a Birthday card for a Dear friend! Heres a few Atc's I did for an upcoming swap. Thought I'd share a few with you. A Birthday celebration is underway at Gingersnap Creations. Along with Artistic Outpost,Go to either site to see how you can win a present! 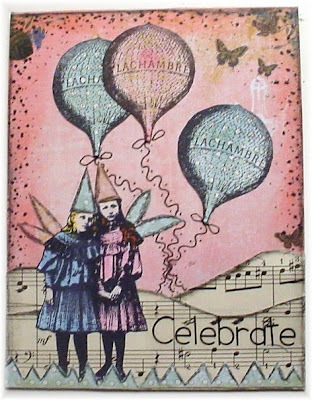 Here's my little card celebrating the special day. The stamps are from Artistic Outpost of course the newest Paris Exposition and the Birds Of A Feather. Hope you join in on the FUN!! 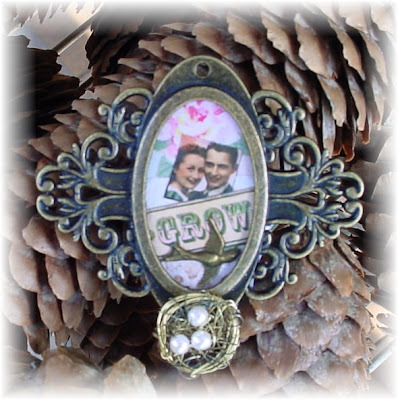 Gingersnap Creations is still taking applications for two design team members. Its a GREAT group come-on you know you want to!